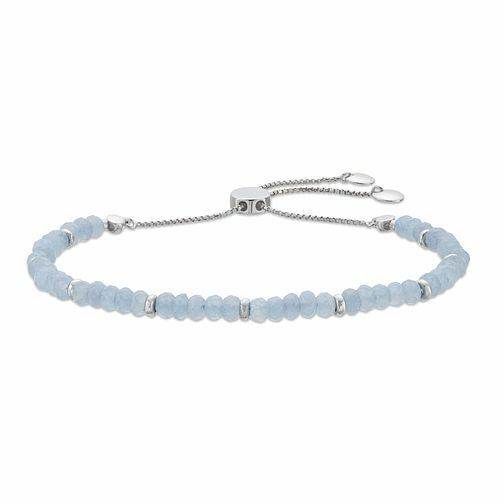 This charming, cool rhodium plated bracelet features an attractive display of light blue dyed quartz beads. A chic and calming shade to complement your everyday looks. Finished with a silver rhodium plated sliding fastener for a secure and comfortable fit.